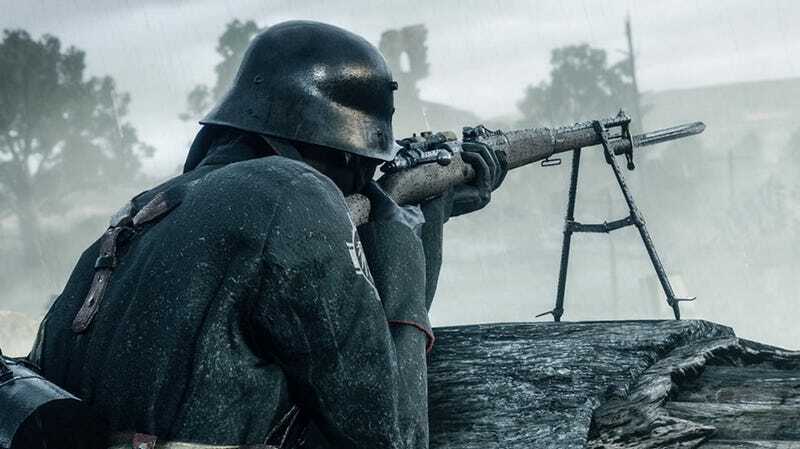 The Martini-Henry is one of Battlefield 1's most interesting guns. It is a sniper rifle that is very difficult to use. You have no scope and one shot before reloading. If you made it count, the Martini-Henry could be a beast. But Battlefield 1's latest patch has transformed it into a something of a joke weapon. Every sniper rifle in the game has a “sweet spot” where it can kill an enemy in one shot. The sweet spot on Martini-Henry is very short. If your target was within thirty or eighty meters, it took one shot to the body to kill them. It just so happens that most encounters in Battlefield 1 falls into that distance range. It made the Martini-Henry hard to use but rewarding if you could aim. These new changes have seriously ramped down its killing power. You can see the change in action in this video by KennyKennTV. The community has divergent opinions on the changes. For some, the lower damage doesn’t justify using the weapon anymore. For others, DICE has fixed a broken gun that was killing people with a single shot far too reliably. “It is a useless gun now,” another player said. A broader issue behind this change is that the rank ten class weapons have been disappointing to many members of the community who wanted powerful rewards. The Martini-Henry was one of the few rank ten weapons that had found popular use among players. That time seems to have passed. Rest easy, Martini-Henry. It was fun while it lasted.